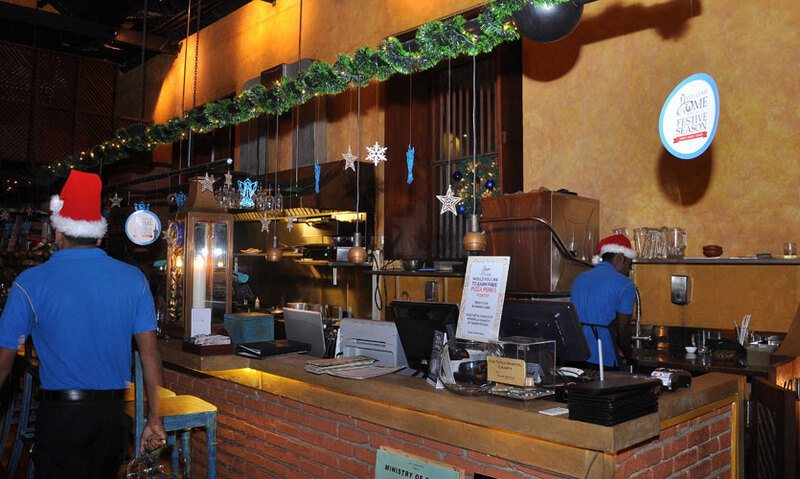 This Christmas don’t forget to make a stop at the Colombo Fort Café to enjoy a festive meal. When you envision “Bistro’ style dining Colombo Fort Café truly reflects an old-world setting reminiscent of the cafes & restaurants found along the cobbled stone streets of quaint southern European and Mediterranean towns. It‘s set in the Old Dutch Hospital complex, which is truly beautiful in the night with all of the Christmas lights and decorations illuminating the site. Offering a casual dining style, with an eclectic mix of Euro-Med cuisine, to dine indoors in air-conditioned comfort or al fresco style dining outdoors, under the stars. With upbeat music and a cocktail bar to enjoy some exciting mixes, Colombo Fort Café is a must in your places to dine out in Colombo. Its unique feature is the open – style kitchen concept with visual cooking, where you feel you are a part of the restaurant. The extended bar countertop offers you the unique opportunity to watch the excitement of the chefs preparing your meal in front of you. 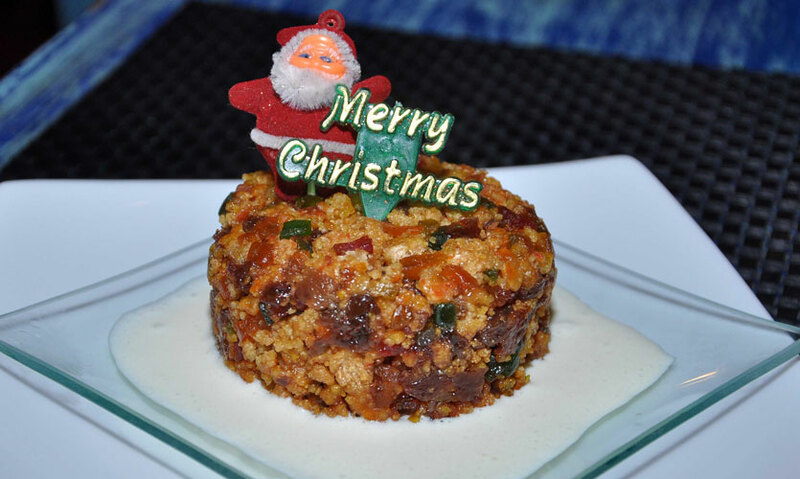 We tried out a few dishes from their elaborate festive menu. 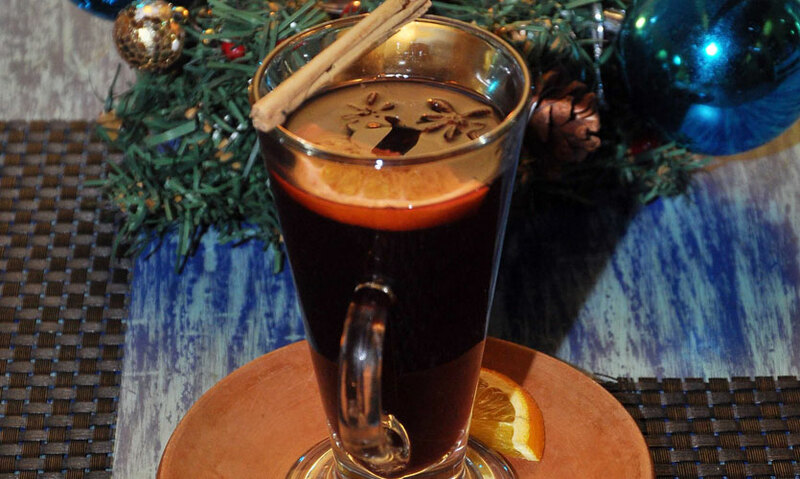 We first tried a Mulled Wine (Rs.850) which was a lovely combination of Orange, Lemon, Lime, Vanilla and spices like cloves, cinnamon, nutmeg, star anise with sugar and red wine. The best part about it is that is served warm. 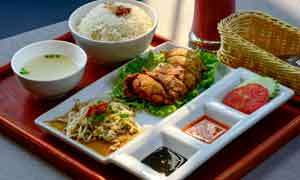 It sets the tone for the rest of your dinner and is perfect to enjoy outside with the cool breeze in your hair. They also offer many non-alcoholic beverages like a blend of exotic tropical fresh juices and hot & cold coffees and teas. From their mains, we first tried their Mushroom and Onion Risotto (Rs.1250) an authentic Italian-style risotto cooked in white wine, chicken broth, onion and mushrooms. It is the perfect vegetarian option. 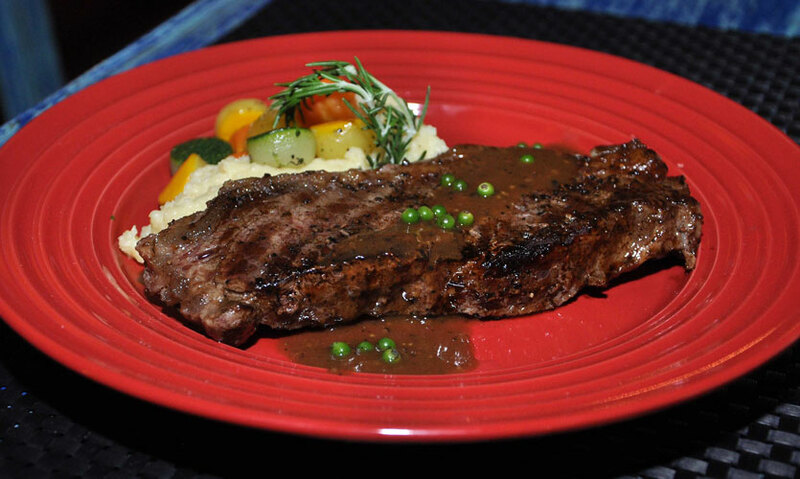 We also tried out their Brandy Flamed Green Peppercorn Steak (Rs.1400). 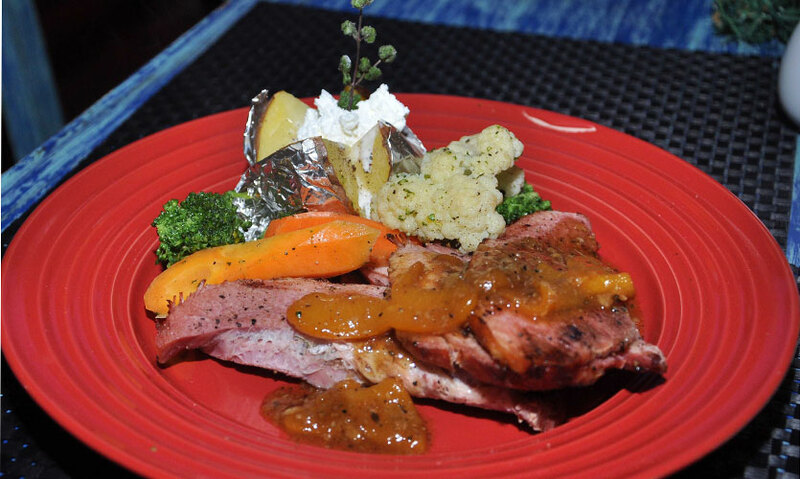 It is served with a beautiful brandy sauce, mash potatoes and veggies. If you love beef you will love this dish no doubt! My favourite main by far was the Apricot Baked Ham (Rs. 1550). Served with seasonal vegetables and a baked potato it was a first for me and I simply loved it. The Desserts stole the show! They have a range will not disappoint you. We first tried their Christmas pudding (Rs. 450). It was a beautifully balanced dessert with lots of fruits and nuts. If you love Christmas cake you are going to love it! 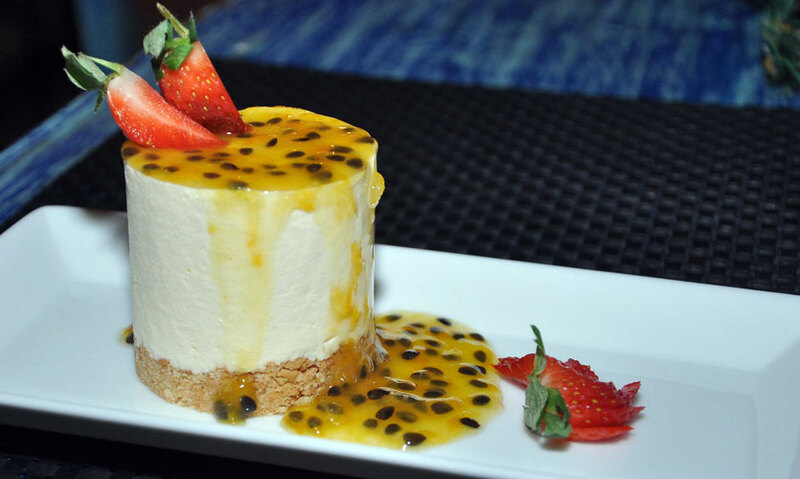 We then tried the Passion Fruit Cheesecake (Rs.475) which was my favourite dish of the spread. It was the not too sweet and the cheesecake was light and delicious! They are open from 10 a.m to 11 p.m from Monday to Thursday and 10 a.m to 12 midnight on Friday and Saturday. Call them on 0112 434 946 for reservations and more information.